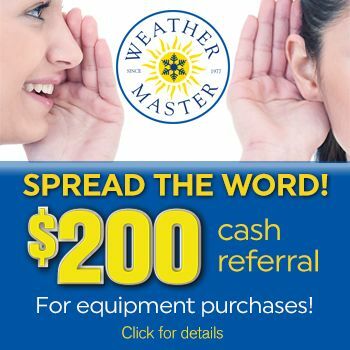 When you need plumbing, electrical, heating or air conditioning repair in Holly Springs, you can count on Weather Master. We have been serving Holly Springs, NC and the Raleigh area since 1977 and offer a wide range of HVAC and plumbing products and services. We strive to be the best and work hard to earn your trust and confidence. You know you can count on us when you need us because we offer 24 hour service and our HVAC technicians, plumbers and electricians have the training, experience and skill to properly diagnose and resolve your issues quickly. When you experience electrical issues in your Holly Springs home, don’t hesitate to call the professional electricians at Weather Master. Whether you require assistance during the day or in the middle of the night, contact us and we will respond immediately. Our electricians have the tools and the talents necessary to make minor or major electrical repairs, and can typically have your home back up and running on our first visit. Never ignore an electrical emergency – call Weather Master right away and we’ll have an electrician at your home as soon as possible. Get HVAC, plumbing and electrical service when you need it most by people who care. We have been serving Holly Springs, NC residents since 1977 and look forward to tackling all of your heating, air conditioning and plumbing repair and installation needs. Give us a call or schedule service online today.